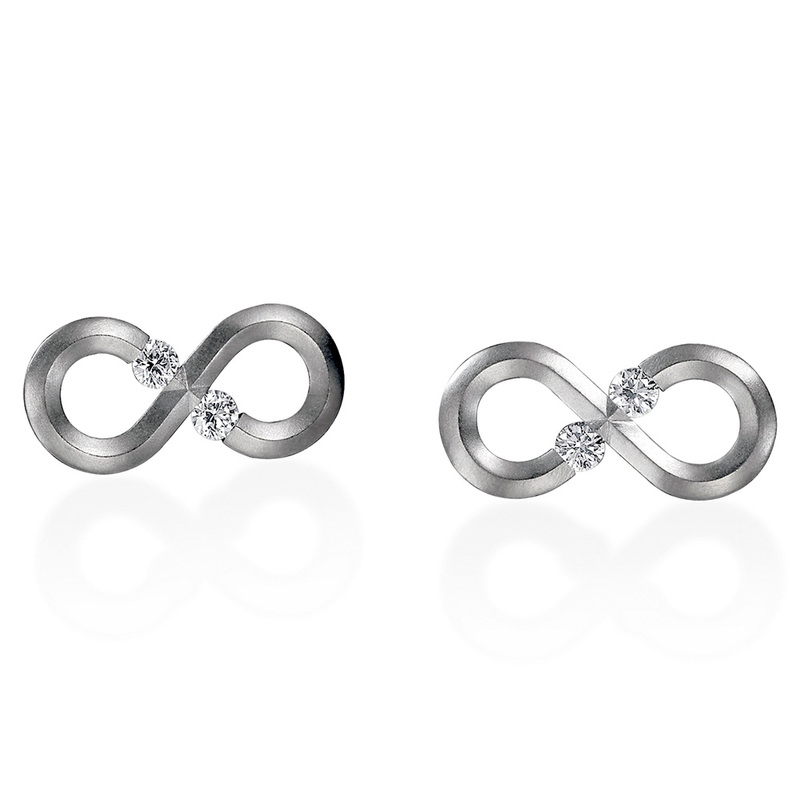 Infinity - Metal choice may be selected in "drop down" box at "Add to Cart" area. Price includes four 2.5mm round diamond center stones, F/G VS quality (approximately 0.24ct tw)! $3,080 ranging upwards of $3,370. 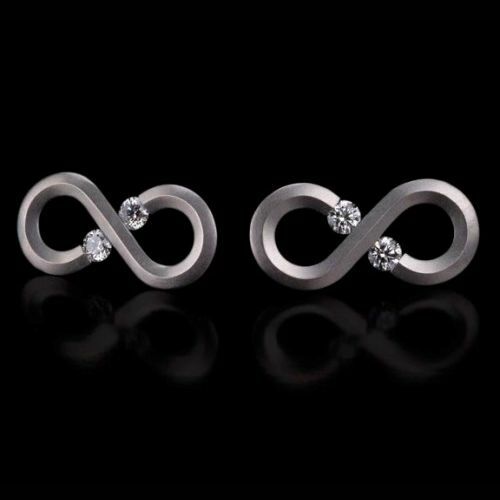 Four 2.5mm round diamonds included!